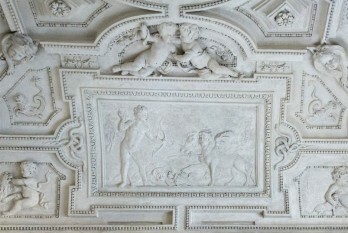 This cabinet takes its name from the subjects of the stucco-work decorations depicting Hercules and his labours. 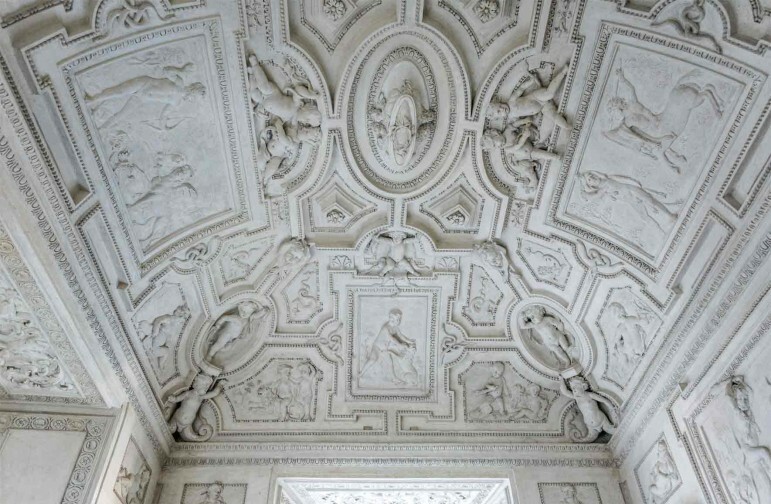 As is the case with the rooms in the apartment facing Turin, the stucco is white, and here it creates a continuous and articulated sequence over all the walls and ceiling. 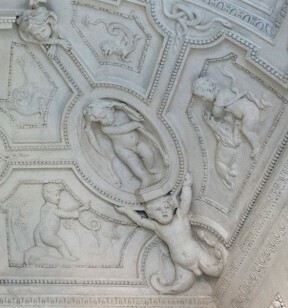 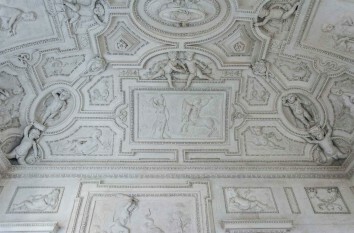 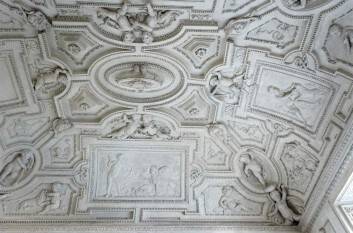 The arched ceiling is characterised by a series of geometric panels which lead from the long oval one in the centre, past pairs of putti to join the four plaques which represents some of the labours of Hercules, similar to the plaques at the top of the walls. 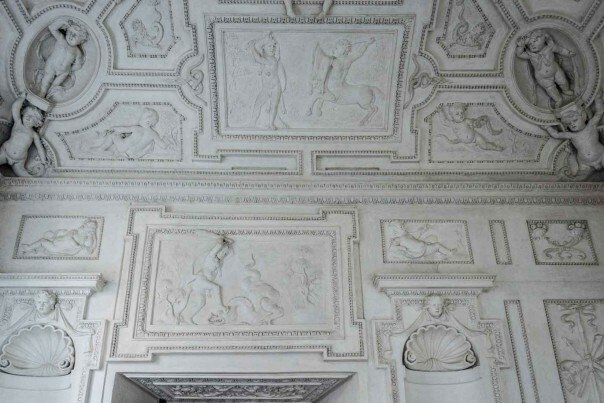 Hidden behind later works, one can recognise Hercules and the lion Nemeo; Hercules and the Cretian the capturing of Cerberus and the Hydra of Lerna. 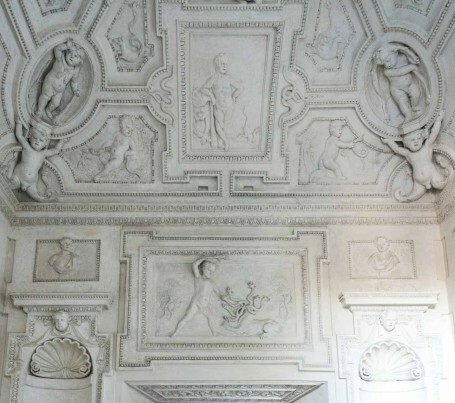 The restoration of this stucco-work was probably carried out at the same time as other changes, including to the cabinet walls, the closing up of a door and a new covering over where that door used to be. 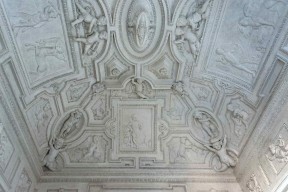 We cannot discount the theory that these transformations date back to the mid-nineteenth century during the years of major restructuring by Ferri.